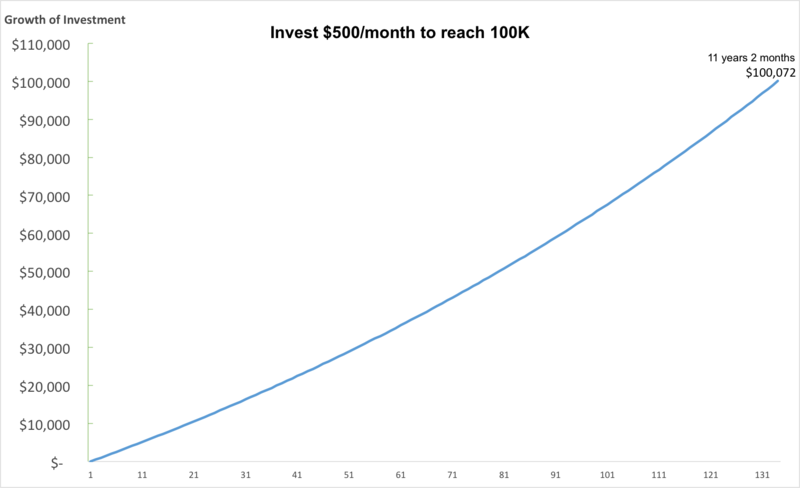 If you break down the investment by $10,000 block and measure the months it took to reach each one of them, it took less and less time. 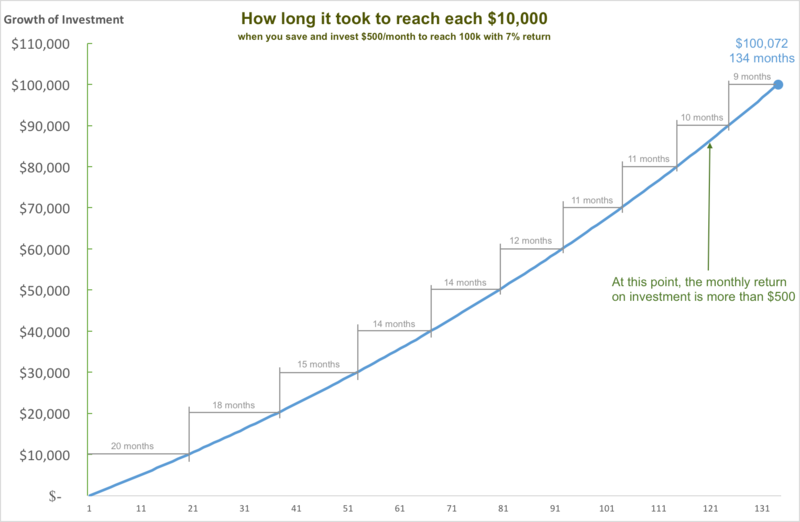 The first $10,000 took you 20 months and the last $10,000 only took you 9 months. It’s just getting easier. 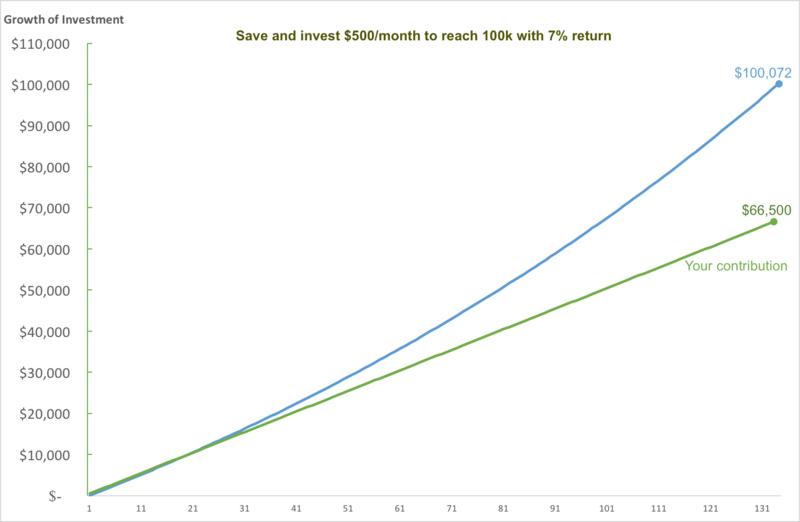 Also, around the 10th year mark, the monthly return on investment actually is more than your $500 monthly contribution. Overall, you’ve only contributed $66,500. The rest came from the return of your investment. You may think you only got a tiny amount right now, it won’t make a difference. From our example, the first $500 contribution turns into $1,226 at the end. That small $500 contribution is only 0.75% of your total contribution. However, with the power of reinvesting, continues contribution and compounding interest, the return on that first $500 represent 1.23% on the $100,000. So if you haven’t started your investment, start now! That small initial investment could be your biggest return. If you already started, the hardest part is already over, just enjoy the downhill ride. Also, don’t be afraid to aim for a big number. The path to get there is a lot shorter than you think. Currently, I am only 5% on my investment goal, but I know the hardest 5% is over. Investing, it’s only getting easier.